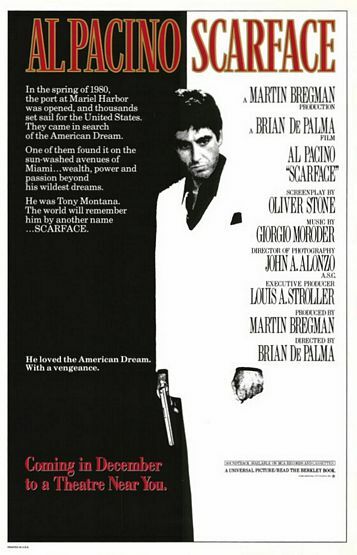 Al Pacino stars as Tony Montana, whose intelligence, guts, and ambition help him skyrocket from dishwasher to the top of a criminal empire but whose eventual paranoia and incestuous desire for his kid sister (Mary Elizabeth Mastrantonio) prove his undoing. Michelle Pfeiffer plays Tony's neglected coke-addicted trophy wife, and Steven Bauer is his concerned friend. Scarface Movie Prop Peplicas, Figures, Toys and Collectibles! 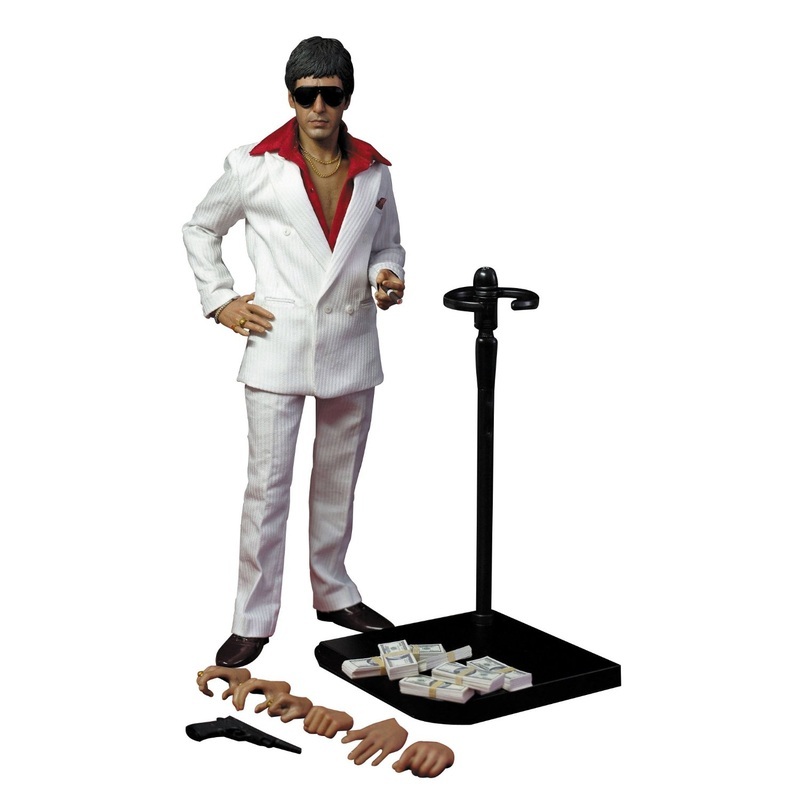 Scarface fans will want to get their hands on this action figure that features an authentic and detailed likeness of Al Pacino as Tony Montana. The figure comes with an Individually hand-painted head sculpt with a normal facial expression that features details, wrinkles, and expression with the newly developed "multi layer" paint application. Standing almost 12" tall, this figure is made of PVC and has over 40 points of articulation. The figure also comes with interchangeable hands and a movie-accurate costume. The Sideshow Exclusive version of the Final Battle Scarface 12 inch Figure includes a unique feature available nowhere else: FOUR ADDITIONAL ELECTRONIC VOICE PHRASES. Sideshow Collectibles announces the releases of this well-known gangster and joins our growing line of famous personality figure series with the Tony Montana 12" Figure from Brian DePalma's 1983 cult-classic film, Scarface. 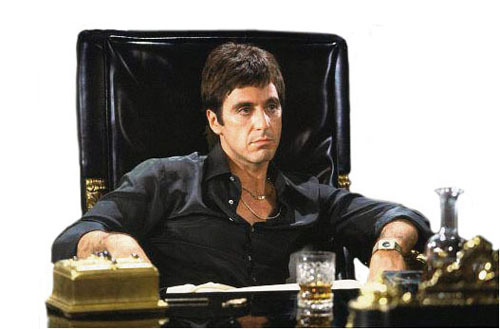 Tony Montana a violent and ambitious Cuban refugee, arrives in Miami, Florida during the 1980 Mariel boatlift. Montana becomes a gangster against the backdrop of the 1980s cocaine boom. The film chronicles his rise to the top of Miami's criminal underworld and subsequent downfall in tragic Greek fashion.